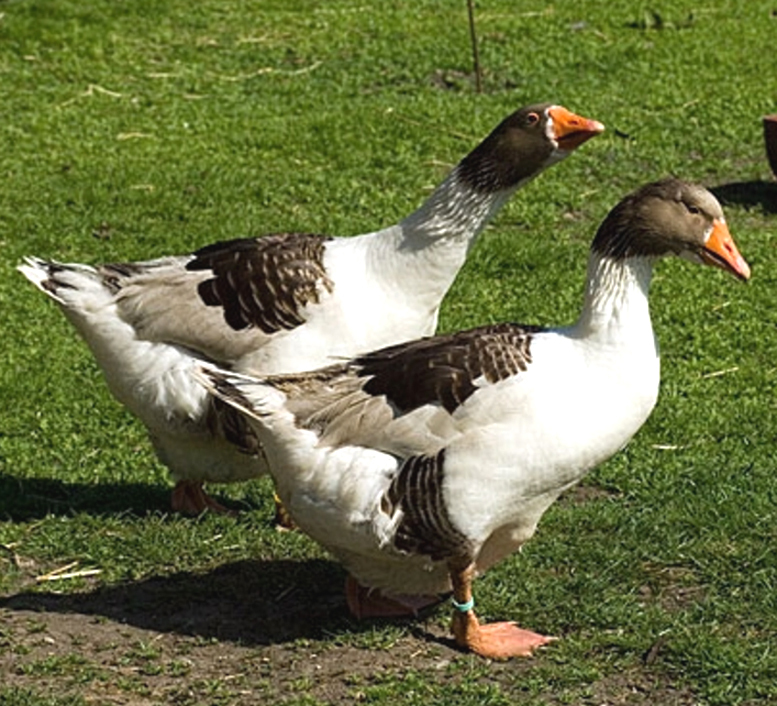 Danish goose is a medium sized bird. It is available in two variants: gray and gray mottled. Eyes of the birds are of blue color (though interbreeding often results in brown eyes).